There is still time to apply another application of fertilizer to keep your lawn strong and healthy during the hot summer heat. Even though Amazoy zoysia grass will grow in virtually any soil from heavy clay to sandy, salty beach areas. 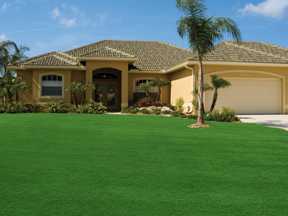 It is obvious that your zoysia lawn will be its most luxurious and healthy if it is fertilized. It is best to apply the fertilizer when the zoysia is at least 50% green and your daytime temperatures is below 85 degrees when applied. 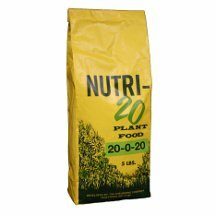 For zoysia lawns we recommend using a water soluble fertilizer like our own Nutri 20 or our all natural Organic Fertilizer. If you are just starting a zoysia lawn, we recommend applying an application of our Nutria 20 when first planted and then again in 2 weeks, this will help them to take roothold and green up. You should not fertilize your lawn any sooner than every 2 weeks. Many granular fertilizers found at local box stores can be harmful to zoysia lawns. Please be sure to read the label and follow the directions for proper application and to ensure it is safe for zoysia lawns. To keep your zoysia lawn beautiful and healthy it is best to apply an application of fertilizer in May, June and September, as long as you apply the fertilizer when your temperature is less than 85 degrees and you do not apply it in the heat of the day. How Many Plugs Should One Buy? When you are ready to start your Amazoy zoysia lawn, the first thing you need to do is measure the area for the square footage. Following the steps below will assist you in calculating how many plugs you will need. We recommend 2 plugs per every square foot. Planting at this rate it will take about 1 to 1 1/2 seasons (years) for your zoysia plugs to completely fill in. You can increase or decrease the number of plugs per square foot, however this will alter the fill in time. To determine the total number of plugs required, measure the length and width of the area to be covered. There is no need to be exact, getting the approximate length by width and adding a bit to both will ensure you order enough plugs. It may make it easier if you break the area down in sections, for example if you are planting your entire lawn your backyard would be one section, side lawn would be the second section and front lawn would be the third section. Once you have the measurements, enter them in our plug calculator and it will determine the number of plugs you need whether you are planting one plug every square foot or up to 4 plugs per square foot. The calculator will help figure out how many plugs you need if your lawn is circular, triangular, or free-form in shape, just break these areas down into smaller blocks. You can enter up to eight areas on the calculator at one time. Many people do not realize that there are numerous strains of zoysia grass, all are a little different. Below are a few of the commonly used strains of zoysia to show you how they are different. Let’s start with Amazoy our name for Meyers, Z-52 the original zoysia grass. Amazoy – Medium leaf blade, deep green color, very tight growth pattern, low maintenance, drought resistance, moderate shade tolerance and very cold tolerant but will not suffer winter damage from cold. Is usually planted as plugs, can be laid as sod. Emerald – Fine leaf blade, dark green color, tight growth pattern, high maintenance, drought resistance, moderate shade tolerance and warm weather only, cold weather can damage it, is usually planted professionally as sod, can be planted as plugs. Zenith – Medium leaf blade, deep green color, tight growth pattern, drought resistant, average maintenance, moderate shade tolerance, good cold tolerance, usually planted by seed (recommended to be done by professionals) can be planted by plugs. Let’s compare, Amazoy has a medium leaf blade, grows very tight (crowds out weeds the best), giving it the feel of walking on a deep carpet, low maintenance. Only needs mowing a few times during the season; Amazoy is very drought resistant, therefore requires less watering. Amazoy will grow in partial shade and can withstand cold temperatures, up to 30 below. Emerald has a fine leaf, tight growth pattern, (not as tight as Amazoy), requires high maintenance. It requires about 1 ½ inches of water a week and mowing about every 7 to 10 days, will grow in partial shade, but only grows well in warm weather. Zenith has a medium blade, tight growth pattern, drought resistant and is fairly cold tolerant. Zenith is usually planted from seed however you must have a bare seedbed, if planted within an existing lawn there is a high failure rate. Can only be planted from spring to early summer and must be kept moist at least 15 to 25 days and then watered at least once a day for the next 8 to 10 weeks. Seeding is recommended for professionals only. Amazoy Zoysia: What’s the Difference? As we have mentioned, Zoysia is a particularly hardy grass that grows well in a wide range of conditions. We also let you know a little bit about its history, both historically and company specific. But zoysia isn’t just a catchall. There are many different types of zoysia. They act similarly, but can look and grow differently. Read more below about the most popular types of zoysia on the market today. This is the type of zoysia we specialize in. It has a medium, dark green color and an intermediate leaf texture and shoot density (thickness). It is known for fast spring green up (gain color back if it goes dormant) and is the most cold tolerant. It is sold as plugs and sod. Emerald zoysia is a hybrid of zoysia, and was developed in Georgia. It is dark green in color, with a very fine leaf texture. 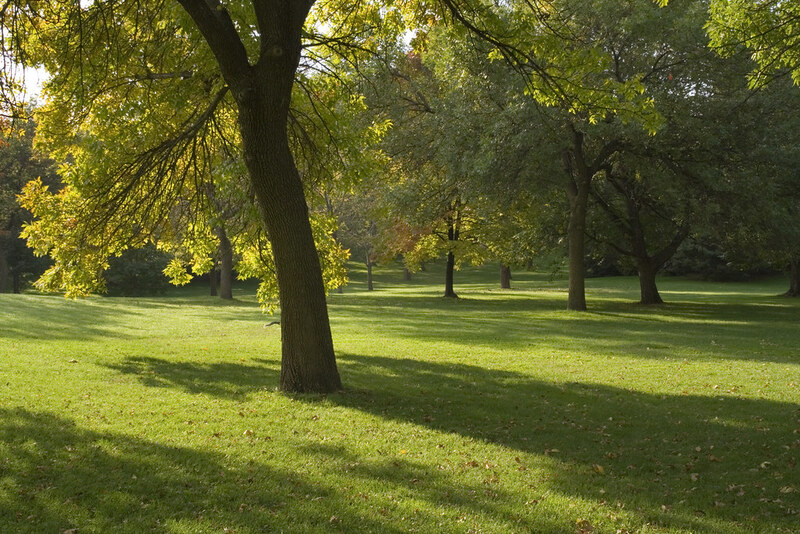 It grows more quickly than other zoysia, but is only available as sod. This hybrid grass has fair shade tolerance and high shoot density, but doesn’t have superb cold weather tolerance. Zoysia matrella or manila grass originated on the island of Manila, hence its name. It has an intermediate leaf texture and shoot density. It does not hold up well in colder temperatures and is slow to establish. Similar to Meyer Z-52 in appearance, but grows less dense. It does not do well in areas that are shaded and its ability to withstand cold temperatures is questionable. This type of zoysia is from Brazil. It has a courser texture than other zoysia and is the least cold tolerant. To see descriptions of other zoysia grasses, click here.